Ed Aydlett is Co-Owner and General Manager of SERVPRO® of Northwest Little Rock. He is a licensed Professional Engineer with a degree in Civil Engineering from Virginia Tech. 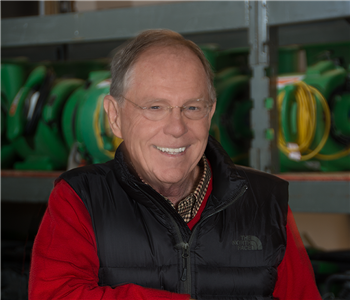 Ed, along with his partner Don Legg, own three other SERVPRO® franchises in Arkansas and Louisiana. 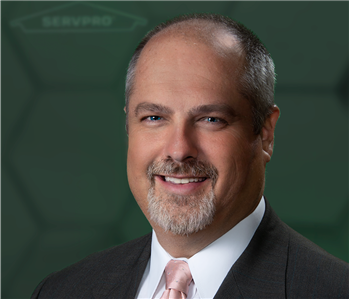 As general manager, Ed oversees the daily operation at our Northwest Little Rock facility and manages all large and complex losses received by SERVPRO® of Northwest Little Rock. This includes assessment, planning and implementation and customer communications. As a co-founder of DE Investments, Inc., Ed and Don have played key roles in the SERVPRO franchise system since 1996. 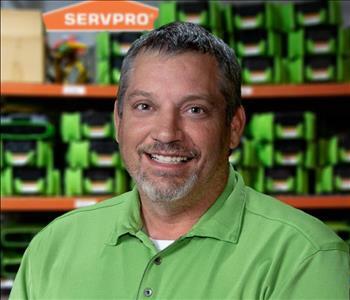 Todd Ellison is the Fire Production Manager for SERVPRO® of Northwest Little Rock. In this capacity, Todd is responsible for managing the fire staff through all fire restoration projects, including contents packing and tracking, structure and content cleaning, content storage and the pack-back of items removed from a fire property once structural repairs are complete. Todd holds certifications from the Institute of Inspection Cleaning and Restoration Certification (IICRC) in Fire and Smoke Restoration, Water Damage Restoration, Applied Structural Drying and Carpet Cleaning. His spare time is spent at the gym and with family. Ross Winkler manages our Mold Remediation team. He has nearly 20 years experience in water, fire and mold damage restoration and holds certifications from the Institute of Inspection Cleaning and Restoration Certification (IICRC) and other industry training programs. His certifications include Water, Fire and Smoke Damage Restoration, Applied Structural Drying, Mold Protocols, Commercial Mold Inspection and Residential Mold Inspection. Ross is also a captain in the England Volunteer Fire Department. Nathan Dabadie is the Assistant Production Manager for SERVPRO® of Northwest Little Rock. Nate manages complex water loss projects and has developed a reputation for efficiency, strong customer service skills and professionalism. Nate is certified by the IICRC (Institute of Inspection Cleaning and Restoration Certification) for Applied Structural Drying, Applied Microbial Remediation, Water Damage Restoration and Carpet Cleaning. He also holds certifications from SERVPRO® Industries for Fire Damage Restoration, Water Restoration and Carpet and Upholstery Cleaning. In his spare time, Nate enjoys riding ATV’s, camping and boating with his family. 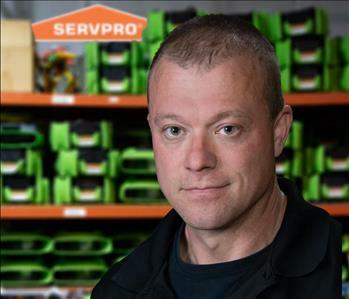 Kevin Martin is the Commercial Claims Specialist at SERVPRO® of Northwest Little Rock and also conducts initial inspections on nearly every water and fire claim processed by our office. His background includes 32 years as an insurance claims manager so having Kevin inspect the majority of our new claims helps our customers and our insurance partners by placing a trained claims expert on site to assess damages and develop cost estimates for completing the work. Kevin holds several professional certifications and is certified by the Institute of Inspection Cleaning and Restoration Certifications (IICRC) as a Water Damage Restoration Technician (WRT). When he’s not working, Kevin enjoys spending time with his family, especially his grandchildren. Shelly Henard is our Sales and Marketing Specialist and is the past president of the Arkansas Adjusters Association. She is a familiar and trusted face in Arkansas insurance circles. Shelly tells the story of SERVPRO® of Northwest Little Rock to nearly everyone she meets. She has also been recognized by the insurance industry for her hard work, having been named Marketing Representative of the Year in 2013 by the Professional Insurance Agents of Arkansas. Shelly is certified as a Water Damage Restoration Technician (WRT) by the Institute of Inspection, Cleaning and Restoration Certification (IICRC) and holds multiple certifications for water mitigation, fire and smoke restoration from SERVPRO® Industries. Craig Denton is our Sales and Marketing Specialist who focuses primarily on commercial and large loss claims. Craig has more than 25 years of experience in the insurance industry, working as an underwriter, agent, specialty representative, division sales manager, vice president of sales and as a consultant. Craig also has extensive experience in claims management across the mid-south. Craig and his wife Chrissy have called Conway their home for nearly 40 years. They have four children, Hart, Paten, Haze and Gray.